Make this recipe by preheating your over to 350 degrees. Place chicken in a oven-safe dish. Bake until done and chicken juices run clear. Once the chicken has cooled to the point where you can handle the meat, shred the chicken. Place chicken in a bowl, add BBQ sauce, toss until the chicken is completely covered. 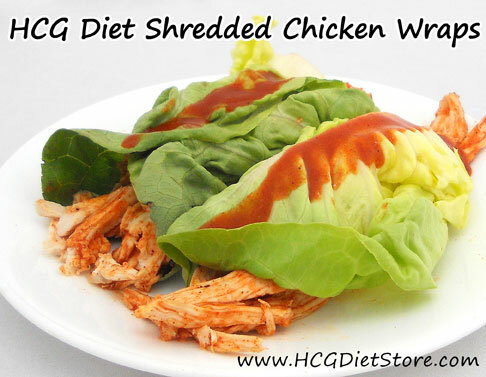 Wrap the chicken in lettuce leaves, for taco-style dining. Top with more Simple Girl Carolina Style Kick Sauce if desired. This recipe is safe for Phase 2 of the diet. This recipe counts as 1 meat serving and 1 vegetable serving.